This mod aims to enlarge minecraft brewing system with more useful potions. To get the potions recipes in-game use a tool like JEI. If you enjoy (or not) this mod, please, spend a minute leaving a comment. Most developers pour their soul in their creations, and feedback is a huge mood and motivation booster. If you did try this mod, thank you! Every single potion can be individually disabled in the config file. All potions in this mod are brewed in the vanilla Brewing Stand with vanilla items and have the standard splash, lingering and arrow variants; some of them may also have redstone and glowstone enhancements. To see the updated list of potions, their effect and recipes, please visit the wiki, it's all explained in the potion page! I honestly love my Magnetism II potion, the only downside is that i have to constantly drink it. I fixed that. 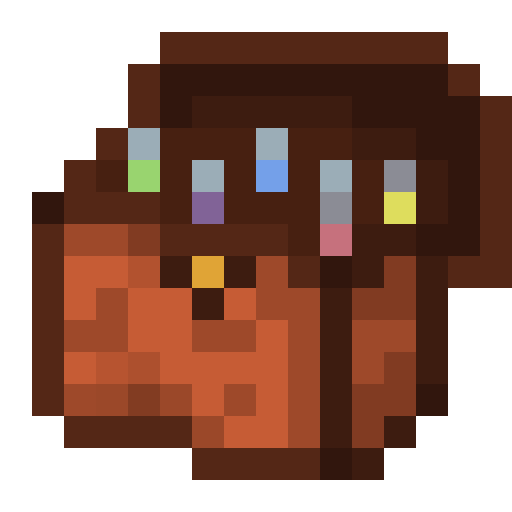 Combining any drinkable or vial potion in a 3x3 crafting grid with a slimeball in the center slot will allow you to craft a Mixed Potion with the effect of the combined potions while adding their duration together. For obvious reasons, mixing is only possible between identical potions, with the same duration and amplifier. Also note that modifing a mixed potion with gunpowder, dragon breath or arrows will not work. This option can be turned off in the config, but it will only remove the crafting recipe and JEI description, any existing mixed potion will still work as intended. It is also possible to split them, by surrounding one drinkable potion with glass bottles or a splash/vial potion with empty vials. To perform the split, take out from the crafting grid result slot the empty bottle/vial. Again, modifying them in a brewing stand won't work. There are two kind of people in this world, those who like the blaze powder requirement for brewing stands, and those who don't. I belong to the latter. A config now allows brewing stands to be powered by a fire underneath, or really anything made of fire/lava material. It is kinda slow, but I feel like it is a good compromise for fuel, it makes so much more sense to me. Note that blaze powder will still work, this is just an alternative. The option can be turned off in the config. Vials are my version of a stackable potion system. Craft a potion with an empty vial to get a vial of the potion, or right click an empty vial to fill with the first potion found in your inventory. Vials apply the effect on the player immediately and can be stacked up to 16. To craft an empty vial make the same recipe of a glass bottle in the bottom rows and put a flint in the top-center slot. Do whatever you want, really, as long as you don't redistribute this or make money out of it. If you want to directly link to the file, please, do not link to a specific file but to the latest build. If you link to a specific file your users won't receive the proper updates and report bugs fixed ages ago. Please, don't do this. At the current time, multiple websites are violating this policy, so if you downloaded the mod from them or you visualized their ad-gates, you are actively supporting this practice; please, try to access the files from the original source. Magnetism's Quick Vial crashes me when I try to use it. Afterwards, it becomes impossible to join the world. Letting you know I've made a modpack including Extra Alchemy here. Thanks! Interesting mod! I was looking for a mod that did something like vials or something unique to allow users to easily consume potions easier / stack them. I sort of find vanilla lacking a lot for modded gameplay. Does your vials auto accept other properly registered potions for example like quarks? Also when you Combine potions can you do the same thing vial style? so have say 4 potions in 1 as a stack of 16 vials? how many potions dose it add? Is there a page where i can see the exact percentages or values for the potions? as a example for leeching? i would like to know what % each stage gives. and Leeching 2 heals 3hp (1,5 heart), is that right? But I was wondering if you would add support to some mods, for example Potion Fingers by Vazkii. I actually know the mod, even have it on my computer (just not in the mods folder), but I totally forgot it had other mod support for the rings.